Jann Hess General Manager, joined the AMAN family in 2015 as Resort Manager at the Surin Phuket, neighbour and sister resort of Amanpuri. In 2016 he was posted as GM at ‘the peaceful spirit’ Amandari. Development strategy To be the best high end option for leisure travellers. 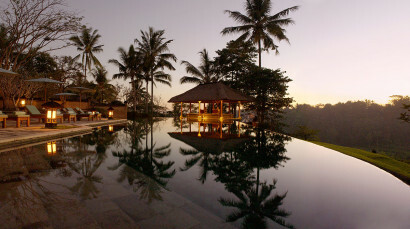 With sensible development, growth and nurturing, the most authentic and exquisite resort experience in Bali. A lifestyle experience without limitations. Amandari is styled after a Balinese village and features andesite walkways, shrines, gardens and high paras stone walls. 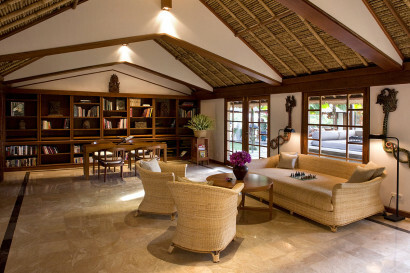 Balinese style gateways front each suite. Amandari’s open air lobby, for example was designed after a wantilan, or village meeting place. Stone panels carved with artistic precision by local artisans decorate Amandari’s lobby walls. Central to the reception area is a replica of the original sacred stone tiger that lies in the valley below the resort. Amandari offers 30 thatched roof suites, teak and coconut wood are used throughout the resort with detailed wood carvings showcasing the skill of local artisans. Suites feauture four-poster beds decorated with classic Kamasan tapestries. Although there are many resorts in popular holiday destination Bali, Amandari is the only one located 129 steps uphill of a temple, with the path leading through the resort and its surrounding rice terraces considered sacred ground by the Balinese. October 2014 improvements: Replaced alang-alang lobby, restaurant & bar roof. Polishing of marble floors in botique and gallery. On going maintenance for public area and guest suites. Traditional Balinese Village setting, architecture of our Suites, layout & design to experience ‘Real life’ in Bali. 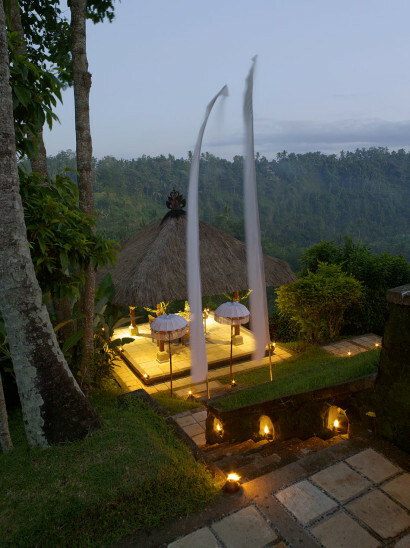 Integration into community & the environment creates authentic Bali guest experience. Warm, Friendly, Caring & Trained staff of 25years. Amazing landscapes with mountains, rivers, valleys, gorges, temples and traditional balinese villages. 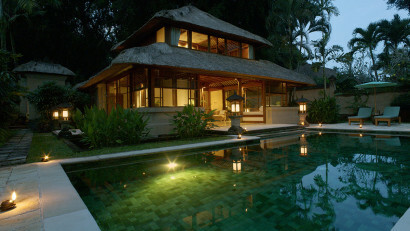 10 minutes from art community of Ubud in Central Bali. 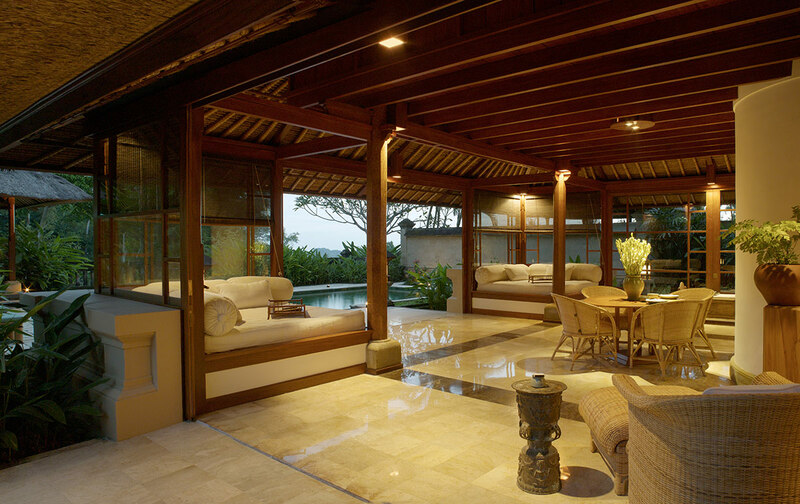 38 kilometers (60 minutes drive) from Denpasar, Ngurah Rai International Airport. 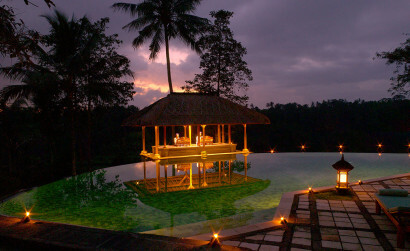 7 minutes drive from Ubud Centre (Ubud Palace) and 20 minutes drive time within Ubud distric. 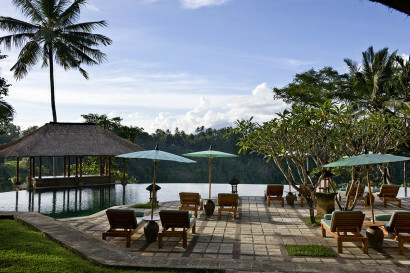 Amandari is one of several other unique Aman resorts in Indonesia. Just a 10 minute drive from ‘the once tiny village’ of Ubud, Balis most artistic village with great restaurants (organic markets & cafes, local warungs & cutting edge cuisine), shops, art galleries, silver-gold-wood carving communities, yoga studios, temples, ceremonies, festivals and events. We have a range of educational and fun activities for The Amandari Kids, complimentary activities include dance & gamelan music lessons and learning how to make traditional balinese offerings. Special childrens menu, and 4 hours complimentrary babysitting service per day. • Village Suite (9 suites): using coconut wood and teak accents, our Village suites enjoy tranquil garden views at an average size of 220 sq m.
• Valley Suite (10 suites): with views of the Ayung River Gorge and paddy fields, the luxury freestanding thatched-roof Valley suite has and average size of 220 sq m.
• Pool Suite (8 suites): our welcoming pool suites feature private plunge pools, spread over 263 sq m on average. • Asmara Suite (1 suite) and Ayung Suite (1 suite): a duplex with large private swimming pool and views of the rice terraces and valley below. 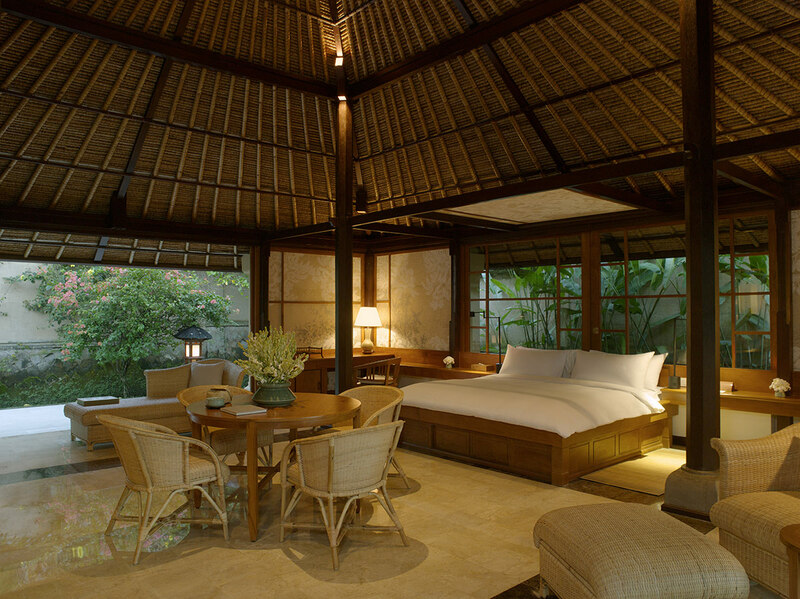 • Amandari Suite (1 suite): offers one or two detached bedrooms along with a separate living room pavilion. An outdoor dining bale of teak and bamboo is set within its spacious tropical garden. From the suites private swimming pool, guests enjoy picturesque views. • Amandari Villa (1 villa): nestled in rice terraces and less than a minutes drive from the resort, the villa overlooks the verdant Ayung RIver Gorge and terraced rice fields. Serviced by two staff, it is a 1,500 sq m Balinese-style compound which includes five pavillions; three detached terrace style bedrooms; a seperate living room and fully fitted kitchen, dining bale to enjoy alfesco dining. Garden and landscaped deck & two tiered swimming pool. We endeavor to create an authentic Indonesian dining experience, using the finest local ingredients. We are uncompromising in our selection of the premier local artisan organic growers, with emphasis on simplicity and minimal intervention. Bebek betutu (smoked balinese duck), babi guling (suckling pig), sate campur (chicken, beef, fish on lemongrass skewers with peanut sauce), tuna sambal matah (grilled tuna with kaffir lime and shallots), amandari daquiri (a declicious burst of freshlty squeezed exotic fruit, white rum, cointreau, palm sugar and kaffir lime juice). The restaurant and bar is open from 6.30am to midnight. Private in-suite dining is available 24 hours a day We offer a range of unique dining and culinary experiences to guests. Two open air massage bales, a beauty room, sauna and marble steam room, gym, tennis court, yoga (classes are held in a scenic outdoor setting within the resort). 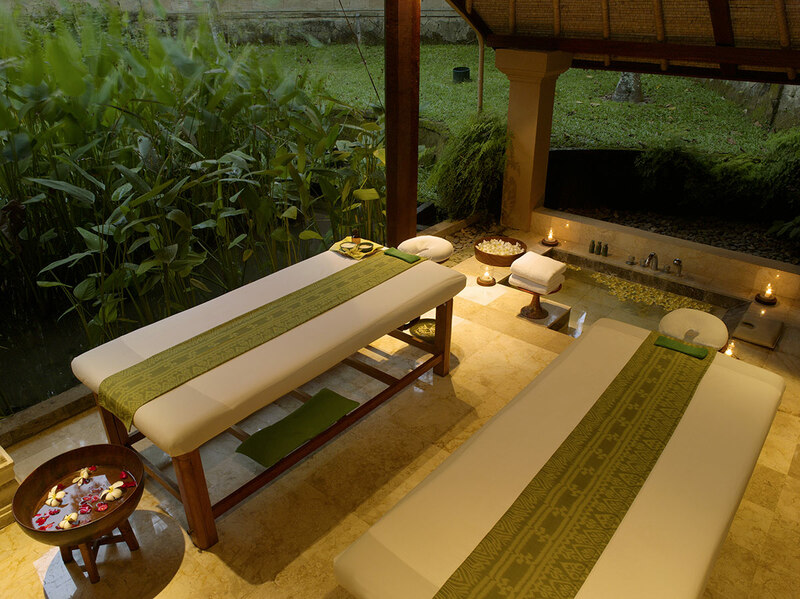 Offers a range of traditional Indonesian, holistic body & facial massage-treatments and body & soul treatments. 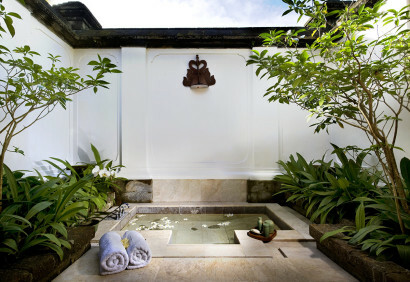 The spa is open daily from 09.00am to 09.00pm. The Village spa journey is unique to Amandari in the sense that local ladies from Kedewatan village perform the purification ceremony at the beginning and end of the treatment. • Weddings, birthdays, anniversaries, family celebrations. • Weddings are most popular at our resort. Amandari is very romantic with beautiful sights, fragrances and sounds (views of lush greenery, the fresh aromas of frangipanis complimented by the sounds of the ceremonies in the local village and the rushing waters of the Ayung river). Amandari has a cooking class that offers a unique culinary adventure that starts at the local market in Ubud, where you buy exotic fresh herbs, spices and choice of meat, fish or poultry. From the market, a short ride takes you to a traditional Balinese home to learn the art of cooking authentic Balinese flavors, all food made by your own hand. You will then savor the flavors and delights you have made in true Indonesian elegance, dining in a Bale (Balinese thatched pavilion). Just beyond Amandari, lies the Big Bamboo Castle ‘Big Tree Farms’. They offer Bean to Bar chocolate factory tours unlike any other chocolate factory.